Do you want to get smoother more cinematic drone shots? Or are you interested in making your drone’s movements more aggressive and quicker which makes it really fun to fly? Well if you are trying to get smooth cinematic shots then adjust your EXPO settings can be really helpful but it’s also a fun way to fly the drone if you push the settings to the extreme. Where are the EXPO settings in the DJI Go App? How do you adjust the exponential curves? Why adjust the EXPO settings? How does the EXPO graph work? What is the difference between smooth and aggressive flying? What happens when you tweak EXPO settings while in SPORT MODE? What EXPO settings do I personally fly with? 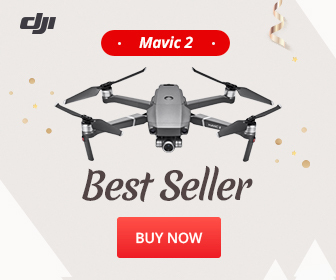 For this tutorial, I am using the DJI Mavic Pro but everything I am sharing applies to DJI’s other drones like the DJI Mavic Air, DJI Phantom, DJI Phantom Pro and DJI Inspire. I want to mention that this is a more advanced tutorial so you should be fairly comfortable with your drone. Also to prevent any confusion DJI has these settings listed in menus as EXP but I just call them EXPO because it’s me shortening the term “exponential”. In this post I walk you through some pre and post-production techniques and tips related to lighting, angles, color theory, lines and shapes to help you create better drone photography. Properly considering and understanding the creative process behind drone photography is a powerful way to increase the quality of your drone imagery. I’m Brad Walls (@bradscanvas), and I have fallen in love with capturing imagery via the sky. Once drones became more affordable, I was one of the first to get a DJI Mavic Pro back in 2016 which I consider to be one of the best creative decisions I have ever made. I’ve since learned some things about the creative process behind taking great drone photos and that is what I want to share with you today.